Home / Too Much Fun! This canvas is just too much fun. I love every inch of it. Yes, it is my design, but really, sometimes that isn’t a good thing. Sometimes it means you are too close to it. 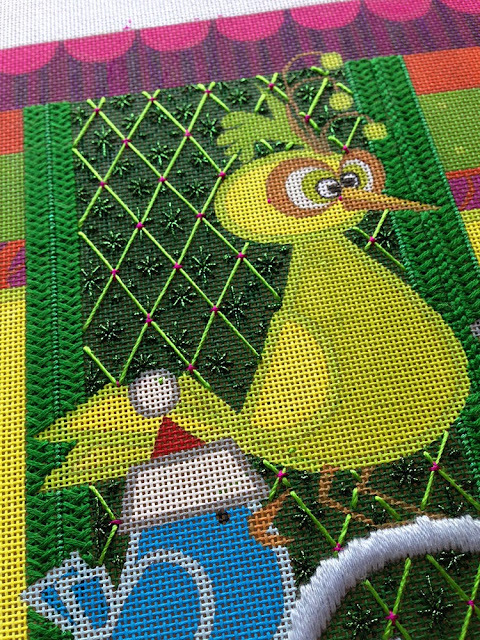 But this canvas is just pure joy to stitch. All my happy colors and a fun attitude to boot. 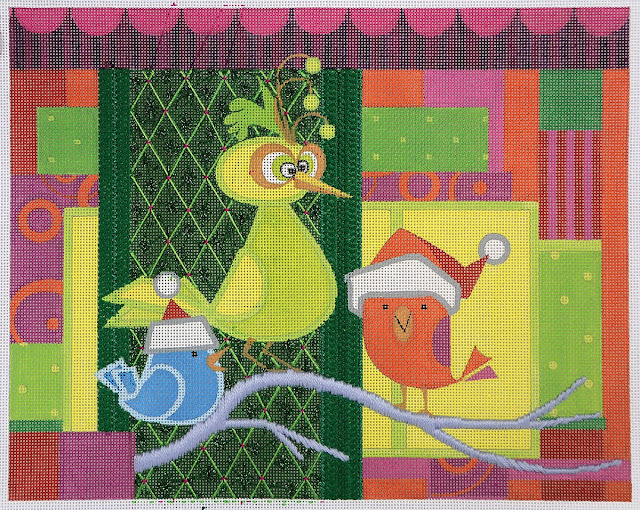 Today was lesson one of the Christmas Birds Mystery Class at Bedecked and Beadazzled! We get together either in person or virtually every 2 weeks ago and I reveal another section of the design stitched and guided. 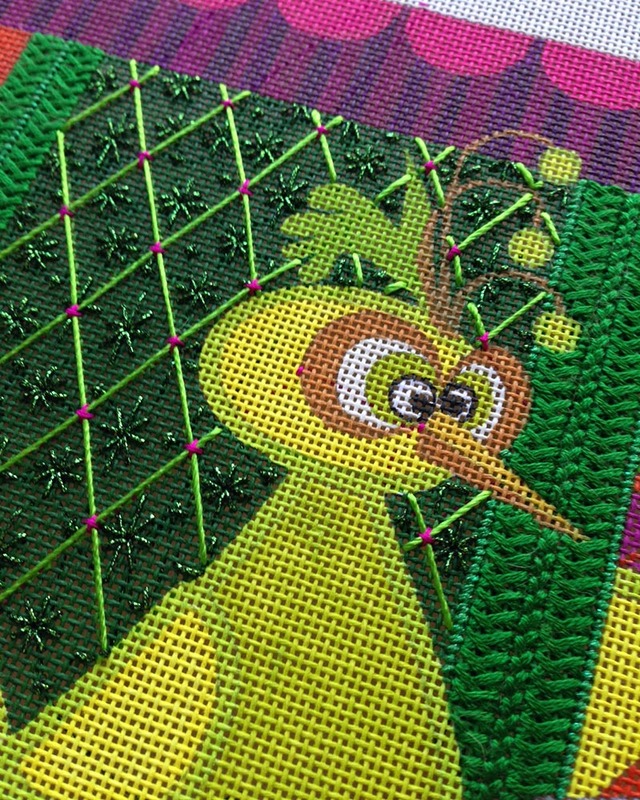 We then spend the afternoon going over the stitches and threads and generally having a grand time. 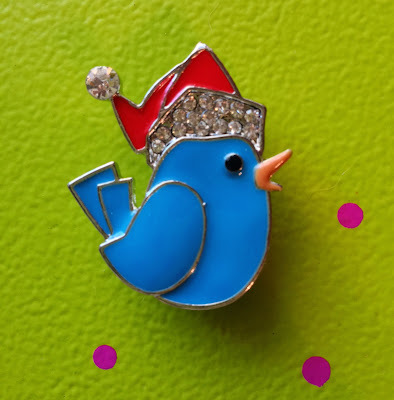 If you’d like to join us, it’s not too late. We’re happy to kit up the first lesson, send it off to you and get you on the list for the future lessons. 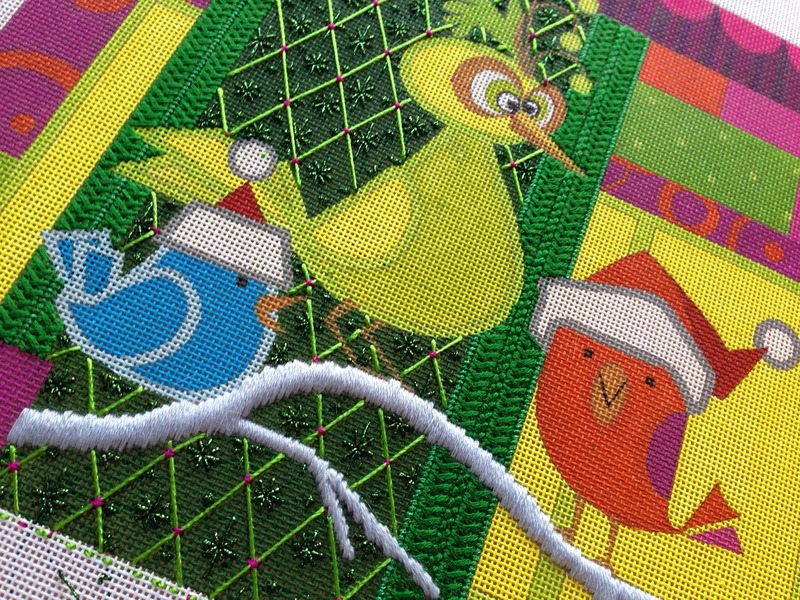 In lesson one, we focused on the green stripes behind the birds with a fun plaited stitch…. and the branch that the birds sit on! They need a good solid base you know. There’s much more to follow with the next lesson in two short weeks. It will be here before you know it. Everyone in the class gets this darling Santa bird to hold their needles. Isn’t he cute? 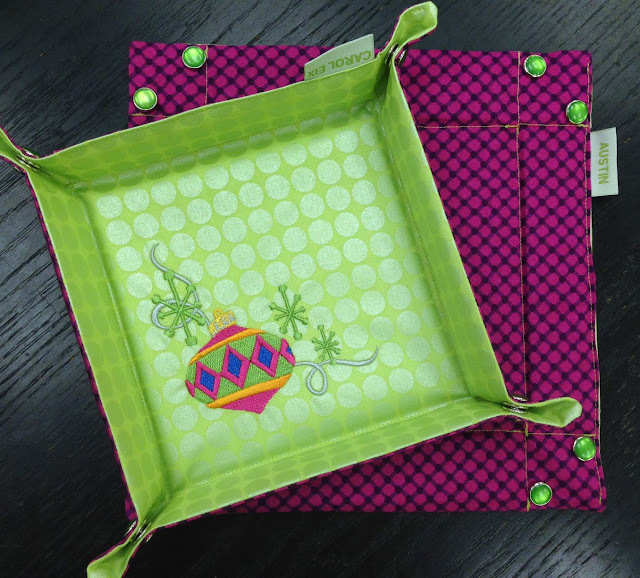 and super cool snap trays also available to complete the festivities. Thanks for stopping by and following my adventures. See you soon. « Previous: It’s Snowing at the North Pole!